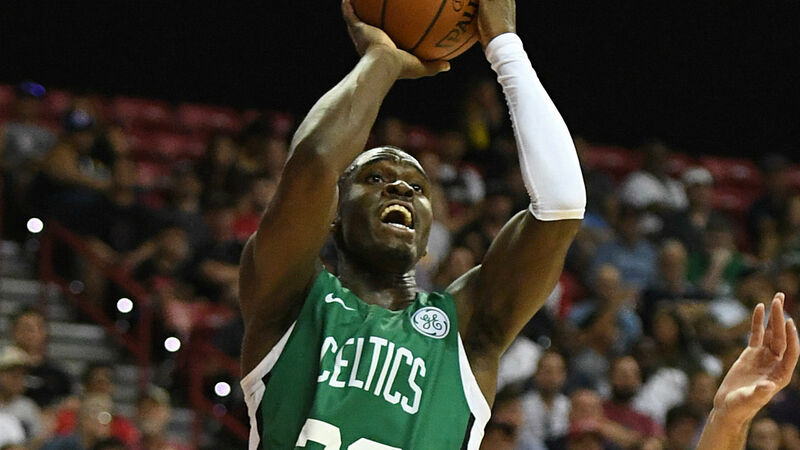 Jabari Bird appeared in court Thursday for his arraignment after he was arrested on assault charges. Horrific details emerged in the case, with the prosecutor alleging the Celtics guard kept his girlfriend captive in his apartment for four hours as he assaulted her, per Tom Westerholm of MassLive.com. He reportedly texted her that if she did not return to the apartment, he would kill himself. Bird, 24, is being held on a $100,000 bail, $50,000 of which must be paid in cash. The Celtics have released a statement in regards to Bird’s arraignment. “Most importantly, our thoughts are with the victim of this incident,” the statement read. “The Celtics organization deplores domestic violence of any kind, and we are deeply disturbed by the allegations against Jabari Bird. Bird has been at a local Massachusets hospital, where he is under guarded watch, since the alleged assault last Friday.